Hiya guys! Happy Thanksgiving! I hope all of you are having a blast with family and friends whilst pigging out on delicious food. Don't worry I'm not buried in polish tonight, even polish girls need a night off. But before I take off to go eat and hang out with family I need to share a little bit of polish with you. Because what goes better after a good meal then a little shopping, right? Especially shopping from the comfort of your own home, no pushing and no long lines is definitely a win in my book. For today I'm sharing swatches for the Wonderfully Awful Grinch Trio by Ever After Polish and also the Black Friday Doorbuster shade. Ninja fingers might be needed as this is a beauty on a deal, who can resist?! Haha. Plus there are some really unique beauties here that are sure to steal your breath away. Let's go ahead and jump right into these swatches! 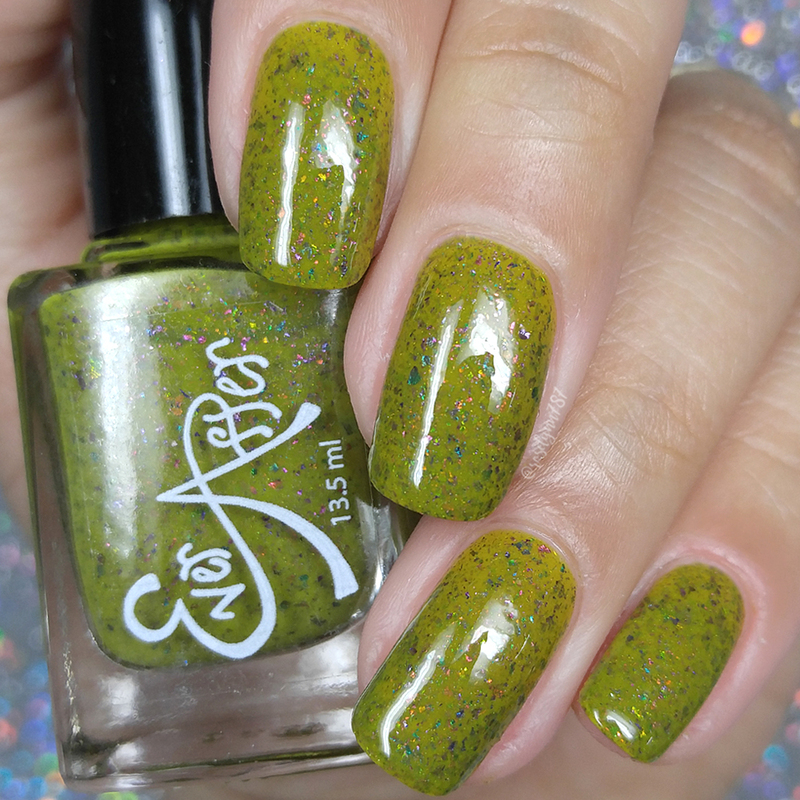 The Wonderfully Awful Grinch Trio by Ever After Polish will be releasing . Each full-size 15mL bottle retails for $10.50 and the complete set retails for $30. There is also a special door buster shade for only $5.50! Charming As An Eel can be described as a creamy holo with green blue purple ucc flakes with shifting micro glitter. Starting off this review with one of my favorites from this collection and that's saying something because (spoiler alert) I fell in love with all of these. Everything about this combination is absolutely stunning and comes off as incredibly unique. There is so much depth and dimension - photos don't do this any justice! The base does bring out a bit of warmth from my skin-tone, but not enough to cause any clashing against it. The formula has a sheer application that builds-up evenly for full coverage. I was pleasantly surprised by how well it ended up building-up actually considering it's such a light and airy tone. Consistency was well balanced throughout the application, not too thick or too thin. Again surprisingly since this bad-boy is jam packed with flakies and glitter. None of which end up clumping or causing any issues during the layering. There is a strong holo flare to the base as well that is best captured under direct sunlight and not in my mani cave. It dries down to a gritty finish that smooths out perfectly after topcoat. Shown here in three coats and sealed with a glossy topcoat. Old Tomato Splotched with Moldy Purple Spots can be described as a brick red holo with vibrant purple sparkles and scattered purple to green ucc flakes. The name of this polish just wrecks me, haha. I really couldn't stop laughing at it while I swatched the shade. That said I really love the tone of the red in this polish, it really has a eye-catching pop factor whilst not being too bright and loud. It's a very unique tone of red that I don't feel like I have ever worn before. The color of the flakes are subtle against the popping base, but it works out perfectly to not overwhelm the look. The polish brings out some warmth from my skin-tone, but not enough to cause any clashing with it. The formula has a really good opacity and builds-up well for full coverage. 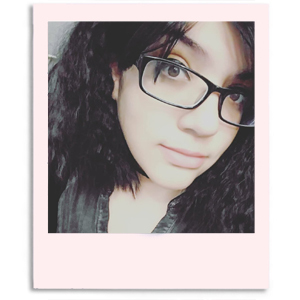 It has a super easy application and didn't give me any issues throughout the layering. The consistency is well balanced throughout, not too thick or too thin. The flakes are subtle in each brush stroke, but not enough to need any fishing. They spread out well and didn't give me any issues with clumping. It dries down to a minimal gritty finish that smooths out easily after topcoat. I experienced no staining on removal to either my nail beds or my cuticles. Shown here in two coats and sealed with a glossy topcoat. Seasick Crocodile can be described as a mustard yellow green crelly with gold to pink ucc flakes. Isn't this an interesting color?! At first I wasn't sure which way I was going to sway, but after wearing it... I'm definitely digging it. Needless to say, it's really unique and unlike anything else I have in my collection. That in mind, I have to say this is definitely a must-have for any polish lover. The amount of flakes really take this over and give it the perfect finishing touch. If the flakes were scarce like some of the others I don't think I would love it as much as I do. The tone of the polish brings out some yellow tones from my skin-tone, but it's not overwhelming and doesn't case any clashing. The formula has a really great opacity, but not enough to be a one coater. It builds-up nicely for full coverage and is easy to work with. The consistency leans on the thick side, but I didn't find the need for thinner in order to layer with it. It's very glitter heavy throughout with plenty per brush stroke. None of the flakes or glitters clump up and was easy to layer for an even look. It dries down to a gritty finish that smooths out after a thick layer of topcoat. I would like to note that I didn't experience any staining on removal to my cuticles or nail beds. Shown here in two coats and sealed with a glossy topcoat. 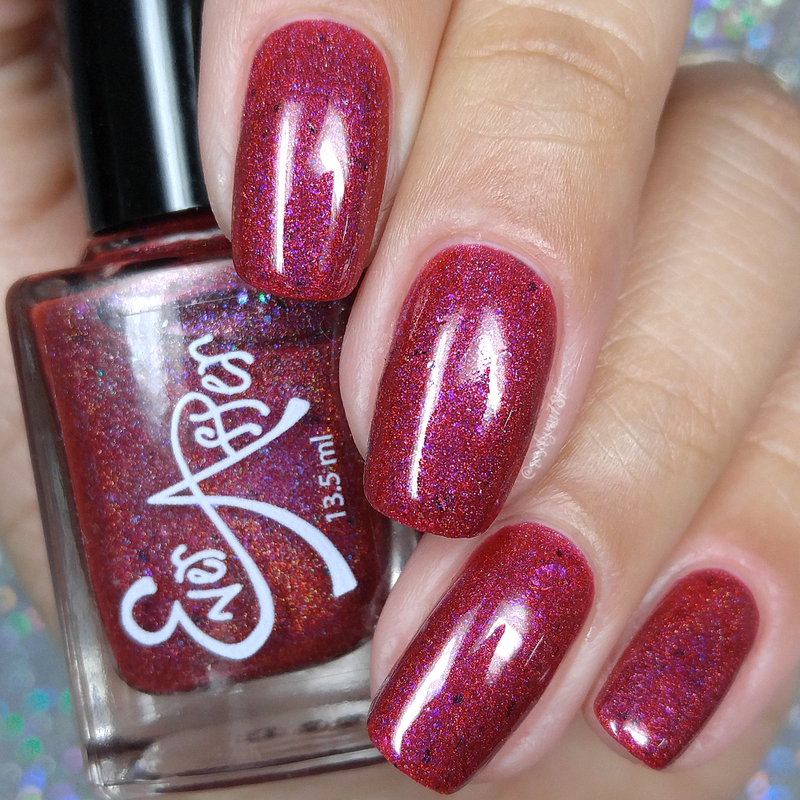 Bad Santa can be described as a dark grey scattered holographic with red shreds and red to copper shimmer. And here we have the LE Black Friday door-buster shade! Isn't she such a lovely combination?! The lighten grey base works very well with the pops of red and holo finish. It's definitely one of those moments where direct sunlight really makes the combination come to life. The copper shimmer especially gives this polish the over-the-top pop factor to give it such a unique touch. Gorgeous combination all around and is surely not one to be missed. Plus it looks fantastic against any skin-tone! The formula has a really sheer application but does layer perfectly for full coverage. I was pleasantly surprised at how well the opacity built-up after such a sheer initial coat. Like most of the others, the consistency was well balanced throughout and isn't too thick or thin. The red glitters are extremely scarce throughout the layering, but that aside I found no issues with them spreading out well. The finish dries down to a minimal gritty feel that smooths out after topcoat. Shown here in two coats and sealed with a glossy topcoat. 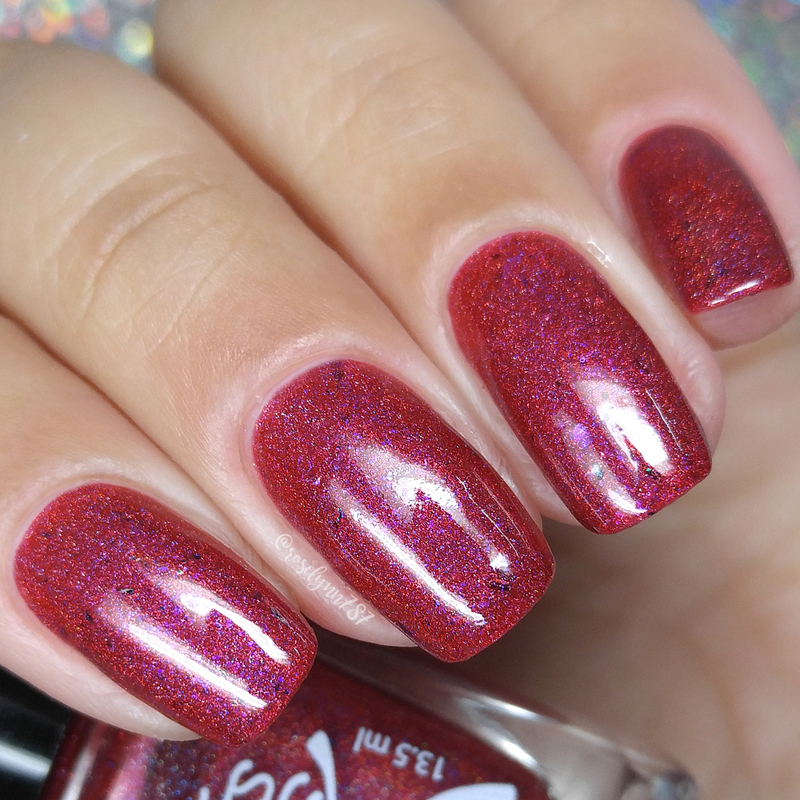 To recap, Wonderfully Awful Grinch Trio by Ever After Polish will be releasing . Each full-size 15mL bottle retails for $10.50 and the complete set retails for $30. There is also a special door buster shade for only $5.50!